Associate Geologist Carla Brock was recently appointed as Chair of the Washington State Geologist Licensing Board by her fellow board members. The board is comprised of six licensed geologists and one public member and is responsible for licensing geologists; updating the rules and regulations governing the practice of geology in the state of Washington; and investigating violations of the regulations. Carla is starting her second year of a four-term appointment to the board. Washington State is a member of the National Association of the State Boards of Geology (ASBOG), which develops standardized written examinations for administration by the 32 member states and Puerto Rico, assessing qualifications of applicants seeking licensure as professional geologists. In addition to her duties on the state board, Carla participates as a Subject Matter Expert (SME) on ASBOG’s Council of Examiners (COE). The COE is comprised of SMEs from across the country and convenes twice a year, immediately following administration of the tests, for examination development and validation workshops. The COE spends two days reviewing test questions and answers to maximize the fairness and quality of the examinations as measures of competency. The COE is not all work, each meeting includes lunchtime presentations by local experts on interesting and relevant topics and a third day in which local experts lead a geologic field trip. 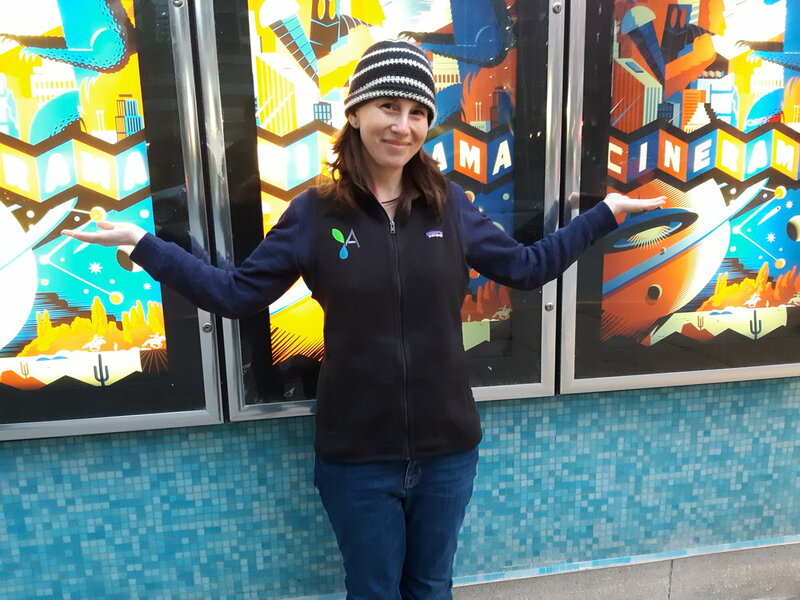 Carla just returned from the spring COE, which was held in Nashua, New Hampshire and is proud to support ASBOG but also enjoys the opportunity to connect with colleagues from across the country and to learn about local geology. Geologists love a good roadcut! A quartz syenite ring dike intrudes the pre-Mesozoic tonalite with mylonitization at the contact. Geologists love a good roadcut! A quarts syenite ring dike intrudes pre-Mesozoic tonalite. Geologists ogling an outcrop in central New Hampshire. Geologists stomping through the snow in central New Hampshire in search of an outcrop. 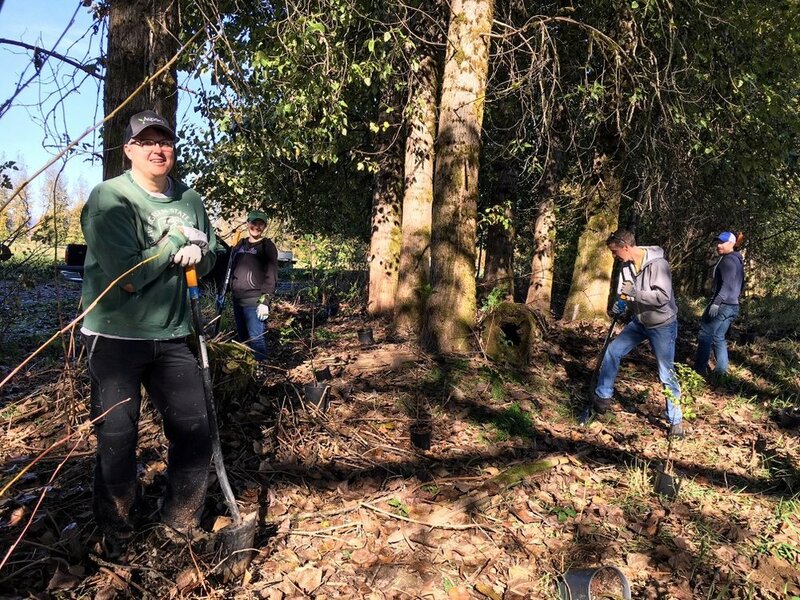 Thirty-three percent of Aspect’s staff of 107 are women, including 15 percent of Aspect’s technical/engineering staff, which is slightly higher than the statewide percentages for female engineers –11 percent in Oregon and 12 percent in Washington. In 2018, 21 percent of our technical hires were women. The theme for International Women’s Day 2019 was Balance for Better, encouraging action towards creating a more gender-balanced world. Some of our staff modeled the “Balance for Better” pose to show our commitment to finding that balance. Meet Chip Barnett and Peter Price! Senior Engineering Geologist Chip Barnett and Staff Scientist Peter Price recently joined Aspect—Chip in our Seattle office, and Peter in our Yakima office. Here are five questions we asked to get to know them better. I lived in Central and Northern California (stuck in Lodi for most of it) before I pursued a master’s degree at Portland State University. I’ve lived in the Puget Sound area with my family since 2002 and have worked in consulting in the Pacific Northwest since 1998. I think the climate really agrees with me and I like the people. My family has deep roots in Washington and Oregon, so living here just feels right. What inspired you to pursue engineering geology? What made you curious about it? I was fortunate to take engineering geology courses at Portland State University with Professor Scott Burns. One class had a series of case histories presented by different visiting geologists, including Jon Koloski and Richard Galster, who enjoyed long careers in our region. The variety of challenging projects and solutions they presented was a great introduction to the field of engineering geology and geotechnical engineering. 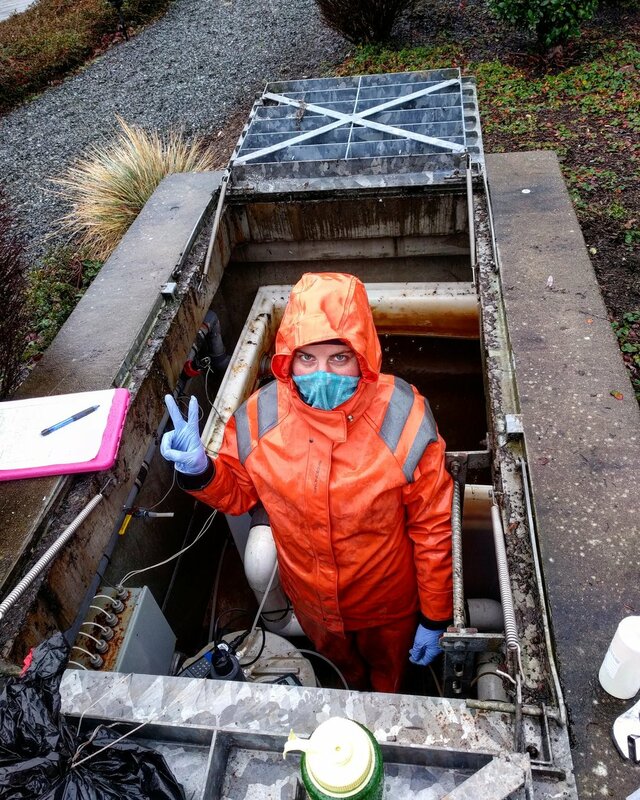 My master’s thesis included evaluating potential flooding impacts relative to regional subsidence following a Cascadia Subduction Zone Earthquake in a number of coastal communities in Washington and Oregon. Speaking with some of the local city engineers about an approximate amount of anticipated subsidence and impacts was interesting. It helped me see how these hazards impact infrastructure and public safety. I enjoy finding opportunities when we can provide an innovative solution that a client really appreciates. I’m excited when I get to work in an area where I may not have worked before and get a chance to read literature or review geologic mapping to think about how that affects our project. Being licensed in Washington, Oregon, Idaho and California has given me many opportunities to work in different areas. I’ve also worked on a number of corridor studies (pipelines and transmission lines) where the geology and subsurface conditions can vary widely. Those projects are always really interesting, and I enjoy discussing the layout and details of figures with GIS Analysts to meet a client’s needs. We take our youngest son to a lot of swim meets and an occasional jazz band performance. I enjoy yardwork, hiking, camping, volunteering in the community (professional and local), and attending concerts—and I like to sing really loud at home, annoying everyone except our dog, Cosmo. Yes, I have done karaoke. Where in the world would your dream home be located? My dream house would be located on the Washington coast, preferably above elevation ~400 feet to reduce the risk of potential tsunami impacts. The house itself would be a seismically retrofitted Victorian home with solar panels, a small wind turbine, and an on-site well system that could also be used to provide passive heating. I was born in Pocatello, Idaho, and raised in Tulsa, Oklahoma. I moved to the Portland, Oregon, area after high school to be closer to my extended family. I have numerous aunts, uncles, and cousins living all over the west side of Oregon. What inspired you to pursue water resources? What made you curious about it? I have had a zeal for hydrogeology ever since I took a course at Oregon State University. Water is a valuable resource, and the more I can understand the intricacies of our impacts and ever-growing need for this resource, the more I feel prepared to inform the next generation’s understanding and encourage a respect for and preservation of water. I would say it is the combination of mental and physical exertion. Collecting field data can be wonderfully refreshing, and physically difficult. When exhausted physically, you can sit down and turn your hard work into other people’s understanding via maps, data table, graphs, reports, etc. I enjoy going on adventures with my family. My wife, Amanda and our 3-year-old daughter, Aubrey, are usually reluctant towards my overly enthusiastic plan to drive next to some river and “adventure” along the way. After they get out of the car at the first of many stops and witness the natural beauty that surrounds them, they thank me for getting them out of the house, usually. I would like to travel to Antarctica, briefly. Maybe check out the Ross Island Ice Shelf, briefly. In the earth science consulting world, our work is innately photogenic. Stream gauging at a quiet bend in the river. Installing new pin piles at a pier on a scenic city waterfront. Even the “grimy” photos, like well sampling at a contaminated site, provoke interest and fascination. Staff take pictures to document their technical work and those same photos are the lifeblood of firm branding and storytelling. However, Aspect’s marketing team, tasked with telling our firm’s story, can struggle with harvesting high-quality visuals. The photos are out there, yet they may be buried in forgotten file locations or staff’s work phones. Just asking “Have you got any good pictures?” yields scattershot results, which often then means reusing the same tired photos again and again. So, a year ago, our marketing group decided that we needed a better way to consistently draw out quality photos. What better incentive than a friendly contest? I love it, it gives me glimpse to what our field people are up to, since I am in the office 100% of the time and not a field person, I envy them the fun they have when in gorgeous location in beautiful weather and not so much when they are bundled in the snow and rain. We started with a weekly raffle, awarding tickets to all contributors and bonus tickets for the week’s best photos – all leading up to a cash prize drawing and winners that we celebrated at quarterly firm-wide meetings. After the first call for entries, staff responded with 54 pictures. Where had these all been hiding? If we had only received those first 50 photos, that would have been a modest success. However, we were surprised and amazed that the photos kept coming week after week. We knew we had something special when, at the first quarter’s staff meeting, the photo contest became a highlight. It turned the meeting into an informal art exhibit, where the employees and their beautiful, funny, and, often times, poetic snapshots of field and office life were the stars of the show. The idea continued to gather steam and, by the end of the year, we’d received over 1,100 photos. It’s awesome! I love seeing the work that other folks are doing. I think it improves our company culture: gives us something to talk about with staff we might not interact with otherwise, and also gives me a better sense of pride in some of the work that I’m doing when I share my photos. 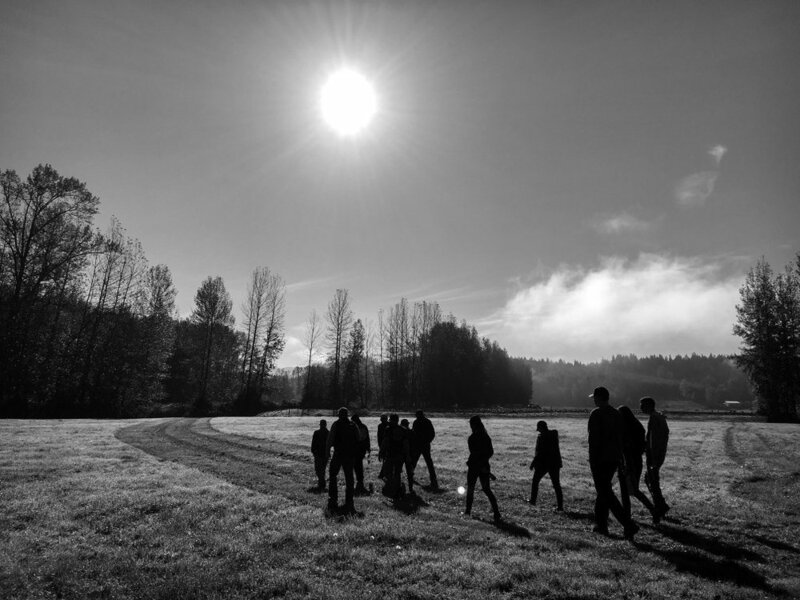 The field staff’s photos remind everyone of the aesthetics of working in environmental consulting – they are outdoors a lot in both beautiful settings and grimy conditions. It’s a way to appreciate the beauty and commiserate when things are grim. It’s not just about the projects. 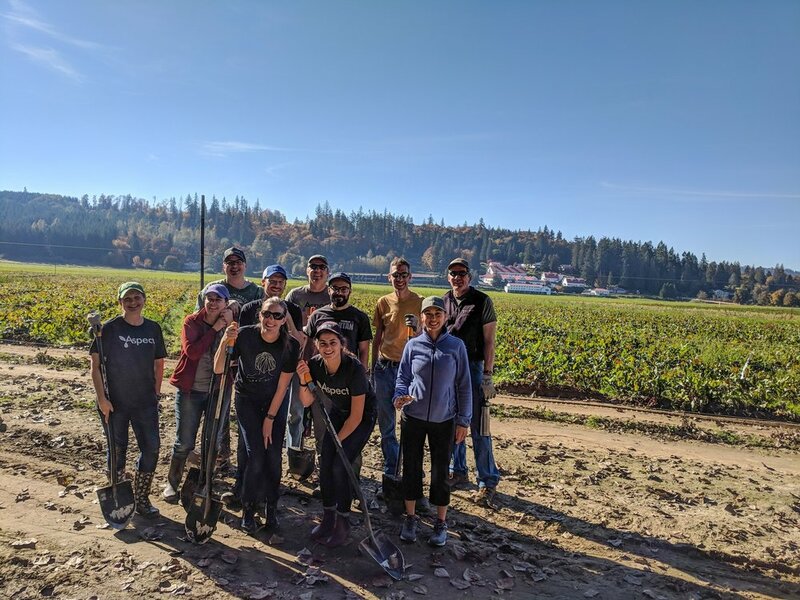 We got many photos of what staff are doing outside of work –biking trails, climbing mountains, running races, vacationing in places sunnier than the Pacific Northwest. Sharing our work brings staff of all levels together around firm culture and put names to faces before people may have met in person. Aspect staff are now in the field, at industry functions, or just in the office, with an eye out for photo opportunities. Submitting on a regular basis helps keep taking photos in the front of my mind so I have more photos of my projects which helps when putting together reports. I enjoy seeing others as it gives insight into what the rest of the company is up to. I often get a sense of a “can-do” attitude mixed with people enjoying what they are doing. As the photo contest enters Year Two, the marketing team now has an established source of photos to illustrate our work in proposals and spotlight our culture for recruiting. Field staff have told us that taking photos helps them with their project work and report writing. And everyone enjoys seeing what our colleagues are up to and takes pride in our collective work. Follow our photographers on Aspect’s Instagram page. 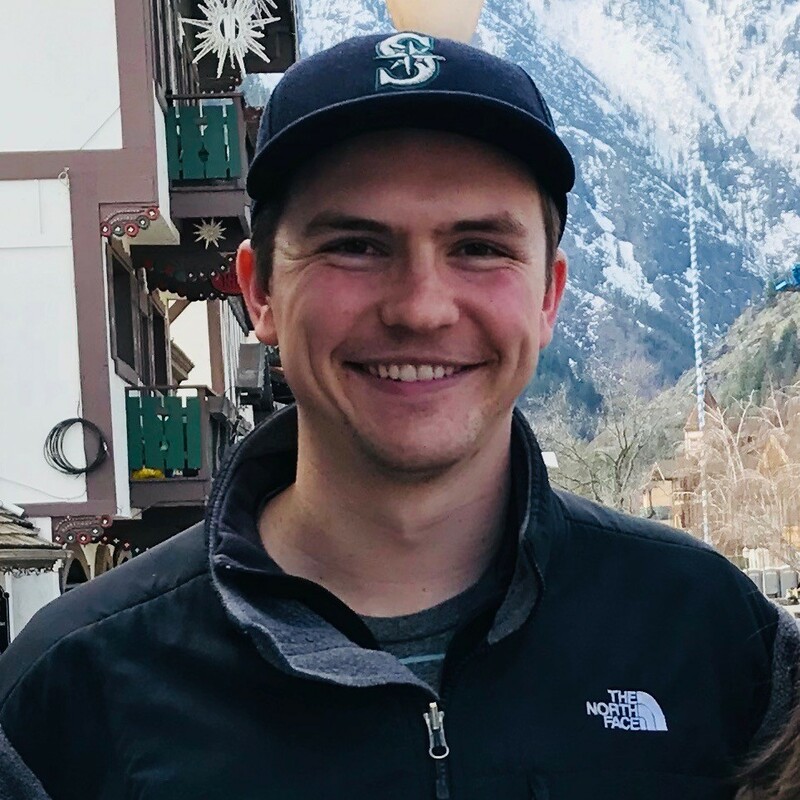 Associate Data Scientist Parker Wittman and Senior Geospatial Data Scientist Blair Deaver will be on a panel — “The Art of the Helpful GIS Presentation” — this Thursday at NWGIS 2018 in Bremerton. The four-person panel presents on tips and techniques to deliver a GIS presentation at a conference or at the office. Parker will discuss ways to improve the delivery of a presentation and Blair will present on tips to master a successful technical demonstration. ESRI President Jack Dangermond is giving the highly anticipated keynote speech at this year’s conference on the future of GIS. Meet Ingrid Ekstrom and David Unruh! 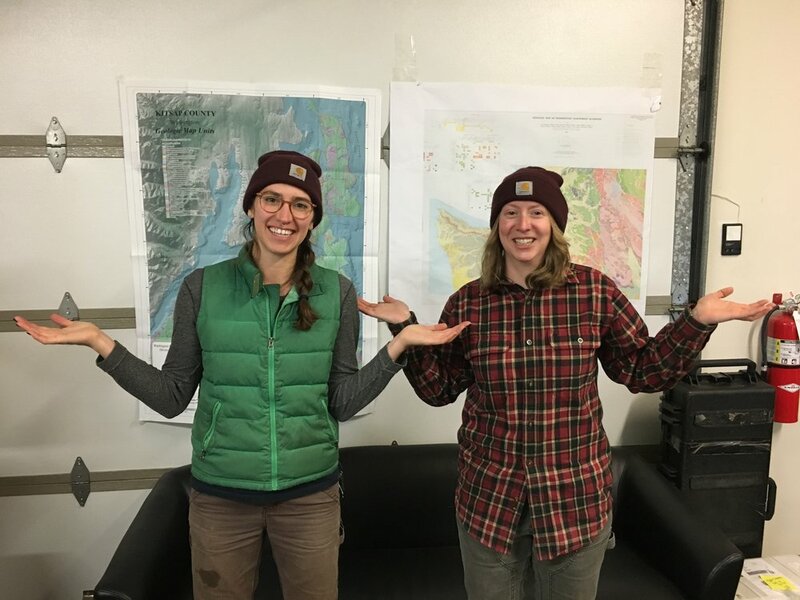 Project Hydrogeologist Ingrid Ekstrom and Staff Scientist David Unruh recently joined Aspect — Ingrid in our Yakima office and David in our Seattle office. Here are five questions we asked to get to know them better. I am originally from Memphis, Tennessee, but have lived in Ellensburg for the past 13 or so years. I spent a couple years in Wisconsin before moving to Washington with my husband, and we have really enjoyed living in central Washington ever since. My background is first in geology. After college, I worked with the US Geological Survey on a couple projects assisting with landslide hazard mapping in Nicaragua and river recognizance work in the southern US looking for liquefaction features from past earthquakes in the area. Both projects had water components that I found very interesting, and I decided to study hydrogeology in graduate school. I was really drawn to the practical side of the field. Moving to the western US in an arid area made me interested in water supply and water rights management. 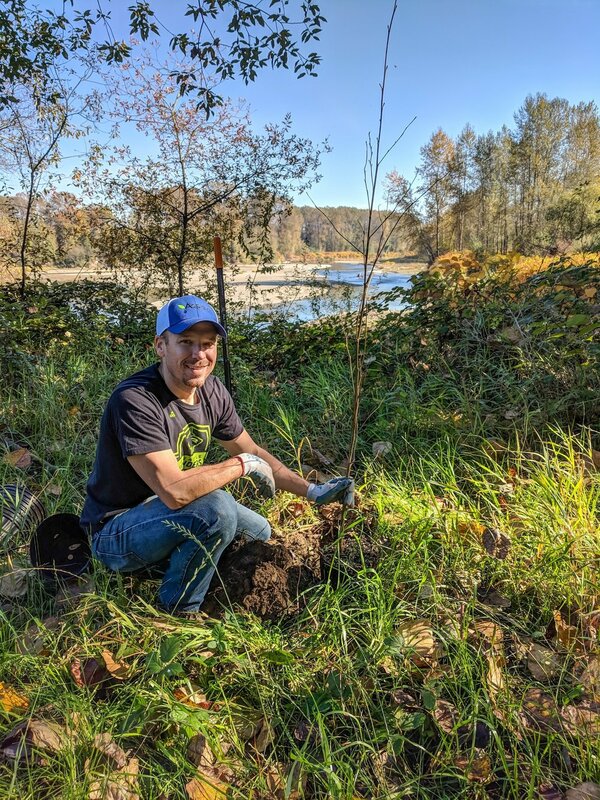 Then, working at the Washington State Department of Ecology and later at the Department of Natural Resources, I had a chance to learn and work with water rights and was enjoyed being able to rely on my hydrogeology background for a variety of projects. I enjoy water resources and hydrogeology because there are always unique challenges to figure out and problems to solve that allow me to constantly learn. I also appreciate that water resources involves a variety of disciplines that keep changing over time. 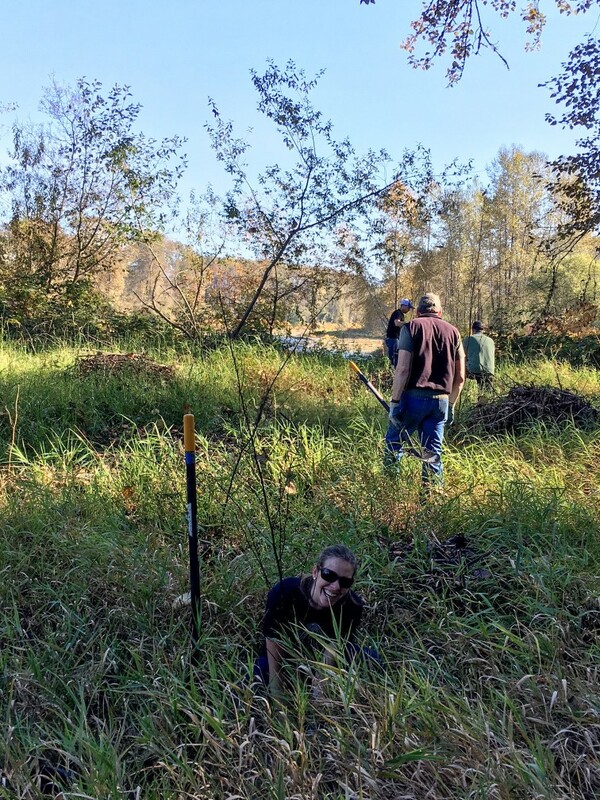 Past experiences working with water rights have given me a chance to see things from different perspectives, and I really enjoy working with and learning from other people active in or reliant on the field. When I’m not working, I love spending time with my family. I like traveling, hiking, going to the park with my kids, or just relaxing in the backyard. We started a small garden and are working on expanding it this next year. The kids’ activities keep me busy. And, as they have gotten old enough to stand upright on skis, we are all learning cross-country skiing (and falling) together, and we are excited for the snow this year. We live a distance away from family and enjoy traveling for visits to the Midwest and Argentina. I would like to take a family car trip camping and traveling through National Parks in the western US. I would also love to go to southern Argentina to visit the glaciers and then travel back to Costa Rica and check out the animals and volcanos with the kids. In the near and more practical future, I would like to visit the north Cascades and northeastern Washington. I grew up in Kansas City, Kansas, and moved to the mountains in Flagstaff, Arizona, as soon as I finished high school. I moved to Pullman, Washington, in 2016 to complete my MS at Washington State. While in Pullman, I made frequent trips to Seattle to visit my sister, and quickly resolved to move as soon as I finished my degree. I really enjoy spending time in the mountains as well as having easy access to music and art, and Seattle has all that in spades. What inspired you to pursue geology? What made you curious about it? Geology was a bit of a shot in the dark for me. I had a great environmental science teacher in high school who got me started on the natural sciences, but I really was just guessing when I enrolled in the geology program at Northern Arizona University. I knew I wanted to do something in the sciences that would allow me to be outside a lot, and geology seemed like a great discipline for me. My guess turned out to be astute, and I have continued to pursue my interest in geology and environmental science ever since! The thing I enjoy most about geology is the ability to infer large-scale processes from basic data points, like interpreting complex folding and faulting relationships at depth exclusively from surface strike and dip data. It’s really interesting to me to be able to apply these principles to the interactions people have with the earth. I’m a big outdoors person, so I try to get out to the mountains as frequently as possible. My sport of choice is mountain biking, but I’ve been doing more rock climbing and backpacking since moving to Seattle. When I’m not outside, I like to fix bikes and find good concerts to attend. I took a trip to Seoul, South Korea, in the summer of 2017 that made me really interested in visiting more of Asia. I hope to make it out to Osaka, Japan, or do a road trip on mopeds through Vietnam sometime soon. 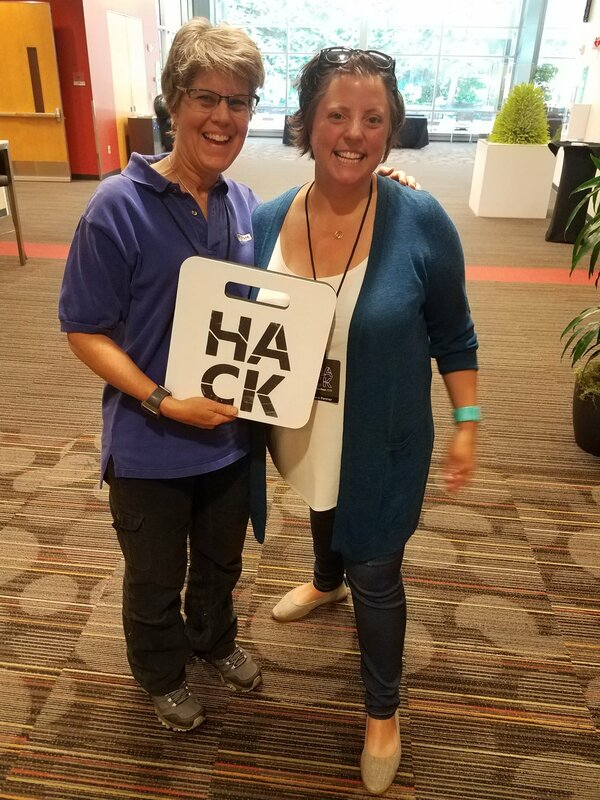 Aspect’s Curtis Nickerson and Bryan Berkompas recently participated in a Hackathon with The Nature Conservancy and Microsoft employees. 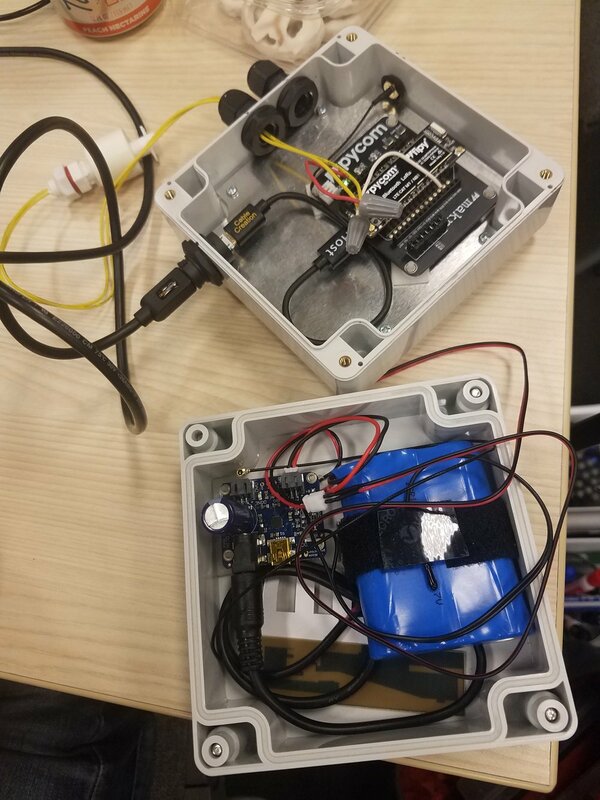 The Hack for Good event focused on developing low-cost stormwater monitoring solutions that could identify pollutants and collect data in real time. Read more about this event on the Nature Conservancy's website. On September 18, join Aspect’s Dave Cook and Perkins Coie’s Mike Dunning as they share their experience developing innovative ways to reclaim brownfields for affordable housing. Dave and Mike will be joined by representatives from project partner agencies Mt. Baker Housing Association and the Washington State Department of Ecology in discussing Mt Baker Housing’s The Maddux – a two-building development with 144 apartments affordable to people earning up to 60 percent of the area median income. This project was made possible by implementing innovative cleanup solutions and identifying creative funding mechanisms. Learn More Here. 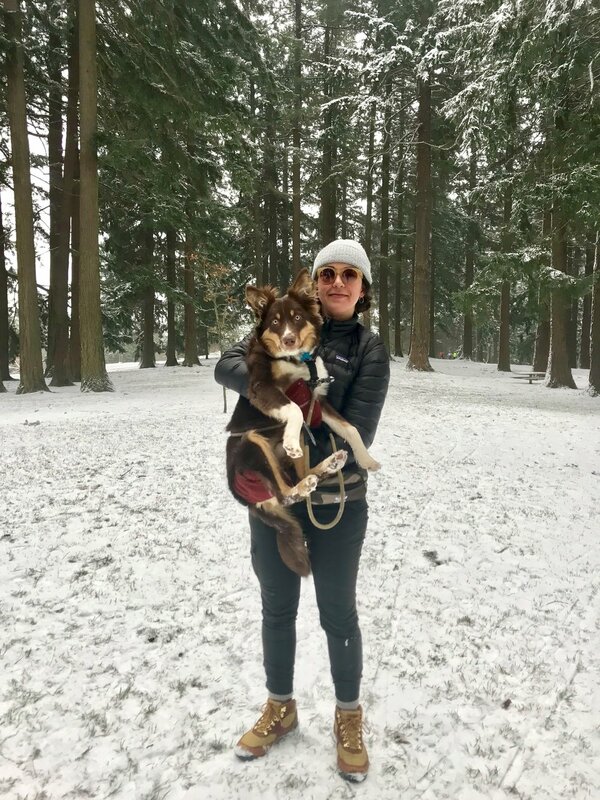 Staff Scientist Bill Grimm and Staff Scientist Isabellah von Trapp recently joined Aspect -- Bill in our Bainbridge office and Isabellah in our Seattle office. Here are five questions we asked to get to know them better. I’m from the suburbs of Chicago originally. I came to Seattle a little over a year after graduating from college to do a master’s program in applied geosciences at the University of Washington. 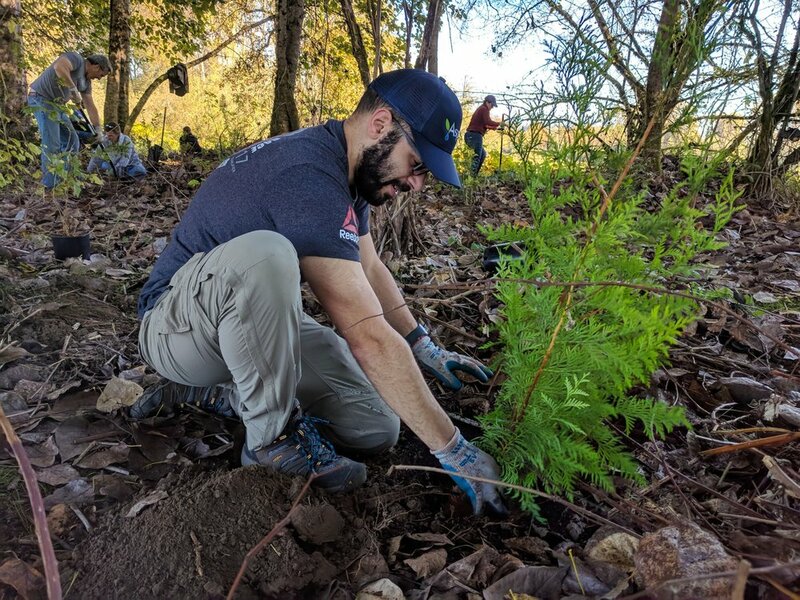 My master’s program was a great fit for me, because it combined two of my passions: earth science, and giving back to the communities in which I live. 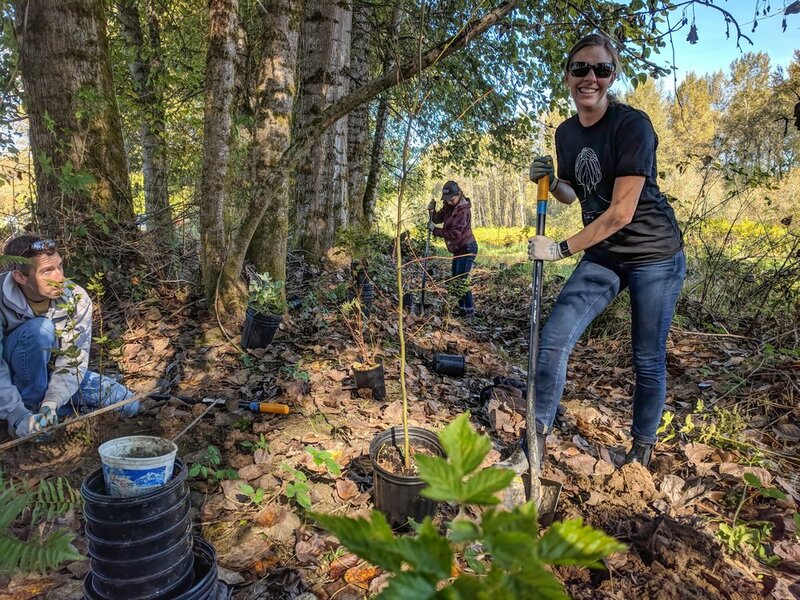 Seattle, and the Pacific Northwest in general, are incredibly interesting geologically, and the program presented a great opportunity to study real earth science-related issues happening in our own backyards. I really fell in love with geology when I was on a family vacation to the Grand Canyon when I was about 10 years old. I had always loved maps and cross sections since I was a kid, and seeing the Grand Canyon in real life made me absolutely fascinated with the Earth and its natural processes. My favorite part of geology is that it’s like a big puzzle. You start with what you know, and you try to fit the pieces together to make the problem make sense. Along the way, you discover new pieces of the puzzle that fit in to the whole, and the more you discover (generally), the clearer the bigger picture becomes. I like to hang out with my wife, hike, play guitar, ski, and read. I’m also planning to start brewing my own beer sometime soon. I would love to do a trek from northern India through Nepal to the Mt. Everest base camp. I love knowing where I am in the world geologically and geographically and being able to picture myself on a map, and I think it would be awesome to walk from the flats in India across the plate boundary and all the way to the base of the highest mountain above sea level. Isabellah enjoying Death Valley geology. I grew up in Salem, Oregon but I always knew I wanted to live in the Puget Sound-area. I attended college in Tacoma at PLU then set out for grad school in Missoula, Montana. But, after a couple years of cold-ish winters, I was ready to head back to my beloved, rainy PNW where I could easily access the mountains, ocean, and my family within a short arm’s reach. For most of my growing up years, I strongly believed I wanted to be a dentist…but after about 1 semester in college, I quickly realized that was not the life for me. After floundering around in some general education classes the following semester, I decided to take an introductory-level geoscience class and my mind was blown. Soon thereafter, I declared myself as a geoscience major. I took a wide array of geology classes but out of all of them, I loved hydrogeology and geochemistry the most. After that, it only seemed natural to seek out a master’s thesis project where I could combine both of those things! Fortunately, I’ve been able to pursue a career that allows me to use those skills and develop new ones. Everybody needs water. Working in water resources is not only interesting but it allows me to solve real world problems that affect a lot of people. Any job that allows you to simultaneously do science and help people is a cool one in my book. Most of the time, I’m daydreaming about what I’m going to eat next. So, in my free time I enjoy perusing every item at Trader Joe’s, cooking, and baking. Aside from that – I also love to camp, hike, swim, knit, try out new beers, and travel just about anywhere! Iceland, Ireland, and Israel – apparently I have a thing for countries starting with the letter I. 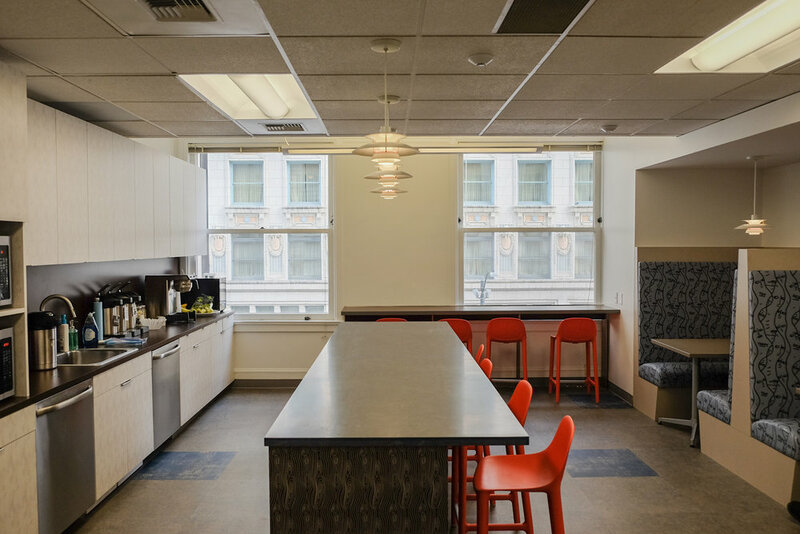 Project Engineer Chad Hearn and Staff Data Scientist/Chemist Jason Yabandeh both recently joined Aspect's Seattle office. Here are five questions we asked to get to know them better. 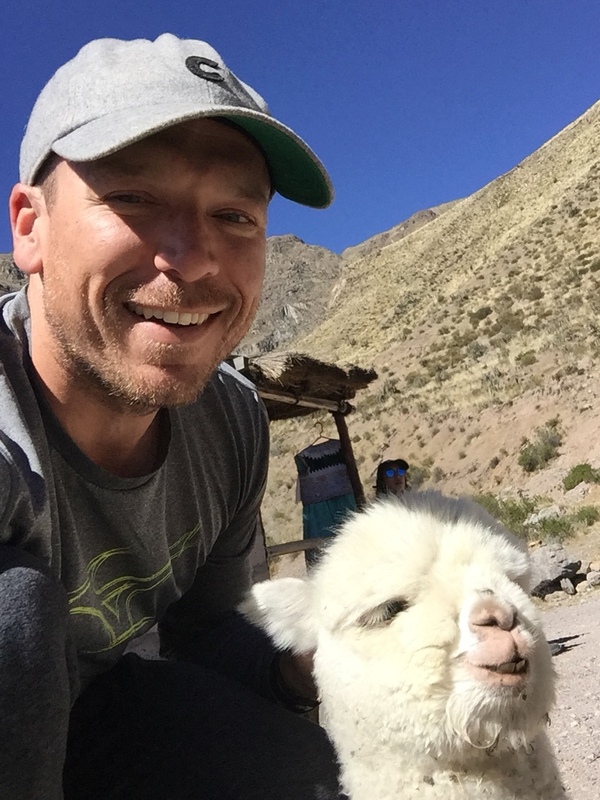 Chad and baby llama in Colca Canyon, Peru. I grew up in Charleston, South Carolina. It was such a beautiful and fun place to grow up, and a great place to visit if you get a chance. After school, I lived in North Carolina before venturing this way. There’s so much that drew me here! 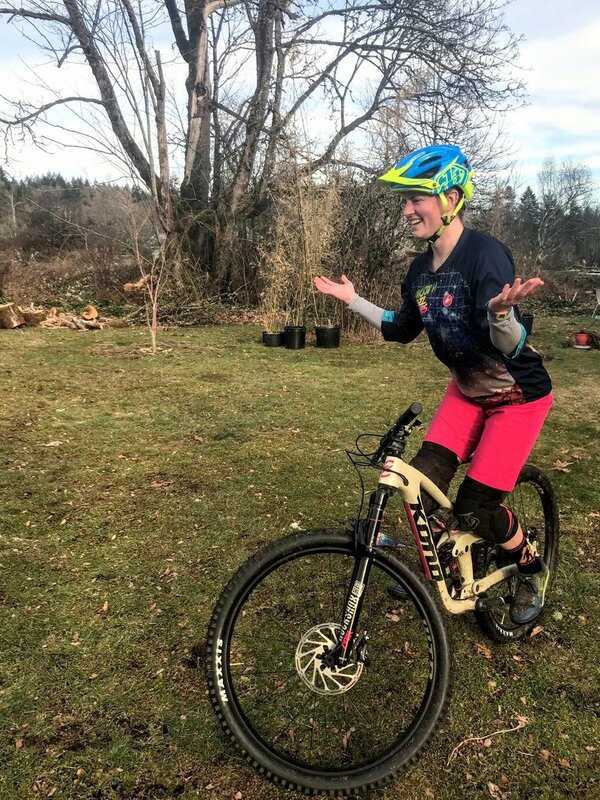 If I had to pinpoint a few things it would be the climate, the Puget Sound, and the energy around outdoor activities like biking, skiing, and just getting out in the mountains. And I’m pretty sure we have the best summer weather in the country! What inspired you to pursue environmental consulting and remediation? I think it was a pretty natural fit with my desire to have a hand in improving where we live and being motivated by helping others succeed. Remediation projects have tended to provide a lot of variety in the work side of the balance. Every site has its unique challenges and keeps you on your toes. There’s always a good learning experience to be had. What excites you and keeps you motivated? It’s quite rewarding at the end of the day when you can say you’ve helped keep someone’s water supply clean, or maybe you just helped a client find a way to tackle a problem. I get really excited when I can help someone else look good. Environmental regulations, just like everything else around us, are constantly evolving. It’s exciting to have a hand in finding new ways to achieve outcomes that are better for everyone. Shocker alert; when I’m not working I’m doing my best to explore the PNW and enjoy the outdoors. These days it’s mostly weekend camping trips with the pup, biking, skiing, reading, occasionally squeezing in a round of golf, and if I’m lucky catching a surf session along the frigid Pacific coast. And when I’m able to find some extended time off, travelling somewhere new is always a priority. Where in the world would you like to travel next? Where would your dream house be located? Perhaps this is one of the reasons I like to travel to new places. How do you pick a place for a dream house when you’ve only caught a glimpse of the possibilities? Hopefully one day I find one. Until then…the criteria would have to be somewhere with a breeze, perhaps on a cliff overlooking an ocean (one that I can somewhat manageably get down to beach from), with mountains nearby, decent surf to keep me active and in the water, and maybe even have space for an organic farm and garden so I don’t have to sit in a car that will then be driving me to a grocery store on its own. At a Darrington, Washington farm with Bob (grey) and Howard (orange). Where are you from? If you’re not from the Pacific Northwest, what brought you here? I’ve lived in the Puget Sound area for my whole life, which is great because I love this little corner of the world. What inspired you to pursue data management? What made you curious about it?While my background is in chemistry, I was drawn to data management by an appreciation of its power. Everything we do in work and life involves data and having good control and understanding of that data is key in making accurate conclusions. What do you like best about your area of expertise? What excites you and keeps you motivated? Working in data allows me to get involved with many different interesting projects. It’s fun to learn about a site and then play with the data and see trends in contaminant concentrations -- which are hopefully on the decline! It’s also a great excuse to practice programming. What do you like to do when you aren’t working? I’ll take any chance I can get to go running, biking, hiking, or swimming with my two dogs. They are great training buddies for the Spartan races that I like to run every year. Besides the outdoorsy stuff, I really enjoy getting a few friends together for some games of the video or board variety. The current favourites are Mario Kart 8 Deluxe and Word Slam. If you could be with any musical artist living or dead, who would it be? Definitely Queen. Not even necessarily to perform with them, as it would be an obvious understatement to say that my musical abilities pale in comparison, but just so I could bask in their glory. 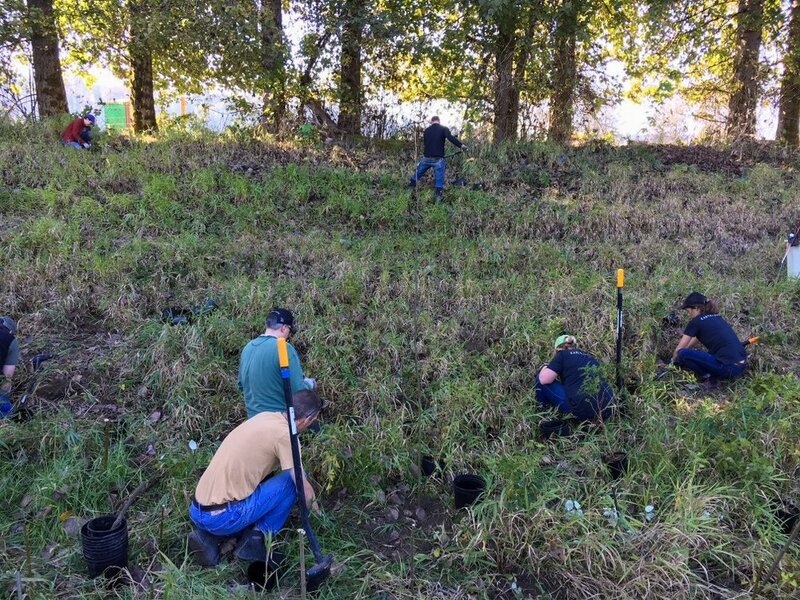 In July's Storm Water Solutions magazine, Aspect's Tom Atkins writes about the challenge and successful problem-solving approach taken to help a Puget Sound industrial client meet stormwater runoff benchmarks to protect water quality in Seattle's Elliott Bay.